In the wake of poor air quality in Delhi-NCR post-Diwali, air purifier market in India has seen an increase of about 50 percent in its demand, according to an ASSOCHAM survey. The objective of the survey is to measure the hike in demand for air purifying kits across 200 electronic and general stores in Delhi-NCR in past four days. “There has been an explosion in demand for air purifiers which has jumped nearly 50 percent as air quality in and around Delhi has become hazardous post-Diwali festival,” said majority of electronic and general stores’ representatives selling such items. “The demand for air purifier in India has been growing rapidly across metros in India but as the smog problem became severe in Delhi after Diwali the demand for such kits has become really huge and is likely to grow steadily,” said many of the store managers. However, many of them expressed concern saying people very often get disappointed when it comes to installing air purifiers in their homes because of its high price. The majority of the demand for air purifiers comes from offices, industrial and commercial establishments. As per market experts, the air purifier market in India is still in nascent stage and is estimated at about Rs 250 crore but has been growing by leaps and bounds since past one year owing to rising awareness about impact of air pollution. “The national capital has been facing problem of haze for quite some time. Pollution, allergens and firecrackers together have further caused significant deterioration in Delhi’s air quality,” said DS Rawat, Secretary General of ASSOCHAM. “All these factors together with growth in infrastructure development activities, growing sales of automobiles, urabnisation and industrialisation provide a lucrative market for air purifiers to enhance overall quality of air in commercial, industrial as well as residential settings across the region. Significant rise in per capita disposable income of consumers is also likely to drive air purifier sales,” added Rawat. The blanket of toxic air over Delhi — the product of road and construction dust, vehicle emissions, crop- and waste-burning, smoke from Diwali fireworks, and the currently prevalent cool, still atmospheric conditions – doesn’t seem to be lifting. While the government struggles to get moving on an effective long-term plan to tackle the problem, many residents have begun to invest in air purifiers for their homes and cars. Here’s what to look for while buying one. All modern air-purifiers feature High Efficiency Particulate Arrestance (HEPA) filters. These filters are generally rated to trap particles as small as 0.3 microns – for perspective, the thickness of a strand of human hair is about 50-150 microns. Therefore, any air purifier with a HEPA filter should be able to block out both PM 2.5 (particles that are 2.5-10 microns in diameter) and PM 10 (10 microns or more in diameter) particulates. To guard against possible confusion over what the acronym ‘HEPA’ denotes, it is a good idea to ensure the air-purifier mentions having both a ‘True HEPA filter’ and a rating of at least 0.3 microns. Some companies like Sharp claim their air-purifiers also neutralise germs — including e-coli and tuberculosis bacteria, H1N1 virus and even fungal spores — by mimicking the naturally occurring positive and negative ions in the air. You could buy a regular air-purifier and pair it with a standalone ionizer for the same effect. An air-purifier’s effectiveness will depend greatly on how big your room is, how much air the purifier can circulate, and how much ‘outside air’ gets in at any given time. Most manufacturers say what size of room their purifiers would be effective for, but a thumb rule is to buy one bigger than the rated room size. So, for a room that is 300 sq feet in size, it is best to purchase an air-purifier that can handle at least 400 sq ft. Also, because the extraordinary density of the current pollution and the volumes of air flowing in and out of the room will lower the purifier’s effectiveness, it is advisable to shut all doors and windows. The size match relies on an aspect of these devices called the Clean Air Delivery Rate (CADR), which denotes how much air can be purified of all its particles, expressed in cubic feet per minute. Normally, there are three CADR ratings, one each for Smoke, Pollen and Dust, as these three particles tend to vary in size and thus are filtered out at varying efficiencies. When purchasing an air-purifier, insist on getting all three numbers, given that smoke particles measure 0.09-1 micron, and are the hardest to filter out effectively. The higher the CADR number, the more effective the air purifier is for a given size of room. The surgical masks some people have been wearing are useless. They don’t seal your mouth and nose, and don’t filter out anything. Most pollution masks with a N99 rating (filtering 99% of particulate matter) will filter out dust particles, but will not do anything about the fumes. 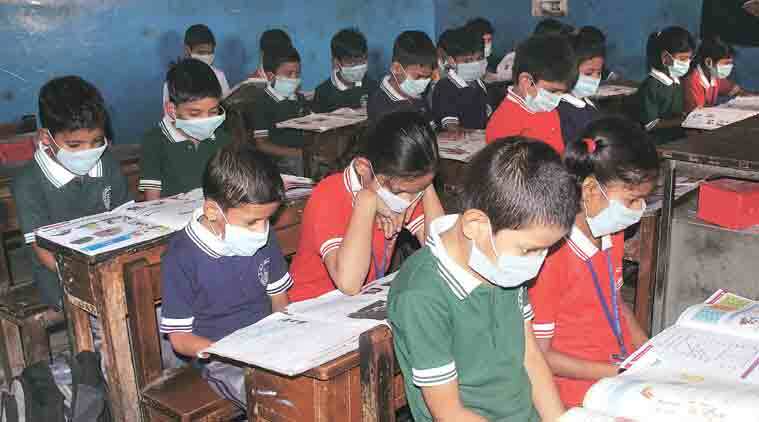 Since desperate times — such as those prevalent in Delhi these days — call for desperate measures, a 3M face mask, paired with a P95 filter and an organic vapour cartridge, is an effective solution. This combination allows even chronic asthmatics to move around outdoors without problems. In fact, the mask filters out odours from cigarette smoke, vehicular emissions and even garbage dumps. A less bulky option could be a mask from Respro, a UK-based company that makes neoprene masks that are equally effective. Respro’s Techno mask is ideal for the current situation as it comes with a P99 filter (rated to 0.3-micron efficiency) along with an organic vapour filter built in. Recently, the State Quality Inspection Administration announced the 10 categories with the daily lives of consumers in relation to the national product quality supervision and inspection results, the air purifier products pass rate for 75.4%, that is to say, the sale of each of the four City air purifier, one belonging to the unqualified products. The sample for the air purifier for the first time national supervision, a total sample of 8 provinces (city) 56 production of 61 batches of products, the total number of enterprises nationwide checks nearly 1/5 production enterprises, the basic coverage of all the well-known brands in the industry. The products were tested for safety index, performance index and electromagnetic compatible index ect. 3 aspect 21 projects. The performance index of the consumers are most concerned about, is to detect the air purification ability, test results show that the 14 production of 15 batches of substandard products, substandard products detected in the 24.6%. particle amount of clean air, there are 2 batches of substandard particles accumulation amount of purified 1 batches of unqualified, formaldehyde purification efficiency (effectiveness) of 3 batches of unqualified noise, 5 batches of substandard. 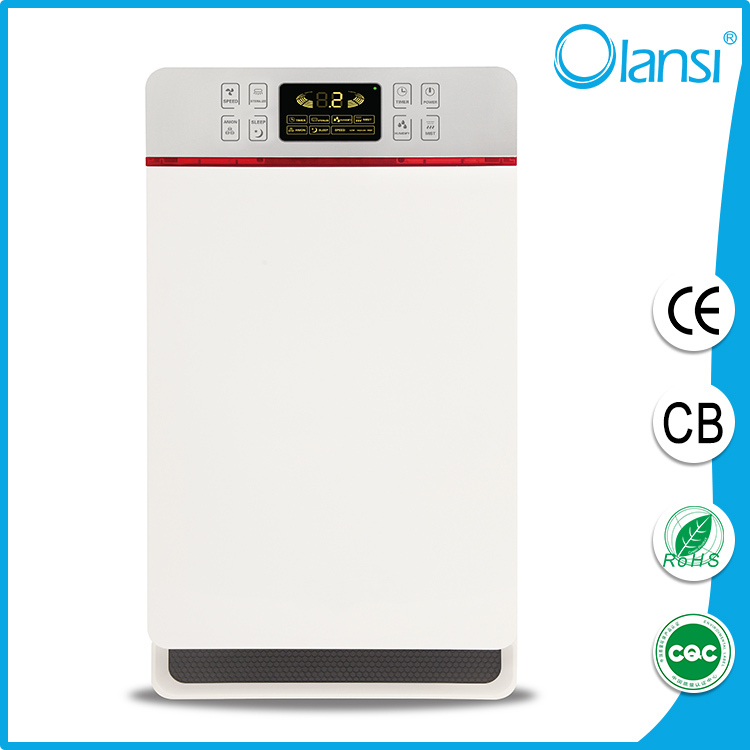 Guangdong Clean Technology Co., Ltd. is a nominal kbis air health machine. 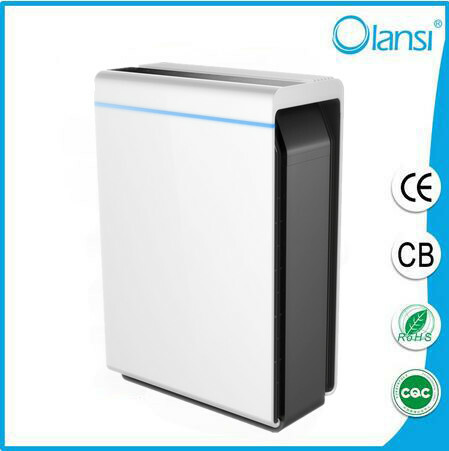 Air purifier as a kind of household appliances, the safety index is mandatory, according to the national mandatory standards for household appliances to detect. Shenzhen City Department of the Qing Dynasty, the nominal for the exchange of clean technology air purifier. Most of the families would also have many electrical appliances, so these appliances put together, can coexist peacefully, will not interfere with each other? EMC performance of air purifier is mandatory. The state supervision and inspection results announced, the electromagnetic compatibility is the most unqualified batch tests, including continuous harassment the voltage project has 8 batches of substandard, continuous harassment power projects 4 batches of substandard. The sample of 61 batches of products, 35 batches of products in March 1, 2016 since the implementation of the GB/T 18801-2015< air purifier > the latest national standard, accounting for the total number of checks the product 57.4%. to the latest national standard does not execute the product, its performance index was determined in accordance with the inspection standards and product quality requirements. The experts express said that enterprises do not implement the new national standard does not mean that the enterprise can reduce the quality of products, in fact, mainstream domestic brands all express enterprises have to implement the new national standard. In carrying out the inspection work at the same time, in order to guide consumers to purchase, quality inspection departments also carried out detection and comparison of product key performance index, were all random products of particle clean air volume (CADR), formaldehyde (CADR), the amount of clean air purification efficiency of particulate matter (performance), formaldehyde purification efficiency (performance), particulate matter (CCM), the cumulative amount of purified six key performance indicators such as noise detection and single detection value together with the inspection results be announced to the public, and guide consumers to carry out scientific and rational choice of products. Experts suggest that the haze of consumers are concerned about the selection of particulate matter purification capacity is relatively good purifier. You need to see the removal of formaldehyde CADR indicators relatively large purifier. China will deploy world’s largest outdoor air purifier designed by a Dutch engineer in its smog- hit capital Beijing, as the thick heavily-polluted haze returned to haunt the city, driving people indoors. The seven-meter-tall tower, brainchild of Dutch designer Daan Roosegaarde, is undergoing last-minute checks in Beijing’s 751 D Park art area. The ‘Smog Free Tower’ will soon be opened to the public, and will be toured across the country, state-run Global Times said, quoting China Forum of Environmental Journalists, an NGO under China’s Ministry of Environmental Protection. The tower can capture about 75 percent of PM 2.5 and PM 10 tiny particles in its vicinity and then release purified air to create a “bubble” of fresh air around it. The tower can clean 30,000 cubic meters of air per hour through its patented ozone-free ion technology. Beijing has been plagued with heavy smog since the beginning of October. The city’s environmental authorities issued a “yellow alert” for air pollution on Tuesday. “Yellow alert” is the third-most serious level in a four tier color-code warning system. Red is the most serious and orange the second-most serious while blue is the least serious pollution level. A new national standard for air purifiers was unveiled by authorities on Friday to bring order to the country’s chaotic purifier market. The draft national standard, which is also made available for public comment on Friday, will include more specific metrics for measuring the performance of air purifiers, including their “clean air delivery rate” and endurance, China daily reported on Saturday. The country’s widespread air pollution problem has given rise to a booming market in air purifiers, with total sales volume reaching 2.4 million units in 2013, the report said. However, the market is chaotic with many producers and sellers of air purifiers exaggerating the performance of products and deliberately misleading consumers during promotions, the report said, citing the Beijing Municipal Bureau of Industry and Commerce. According to a spot check on 20 air purifiers by the Shanghai Bureau of Quality and Technical Supervision in December, only the products of three companies reached their advertised effectiveness or indicated the space in which they would function effectively, according to the report. The new draft proposes detailed requirements for the labeling of air purifiers. Producers must mark clearly on the product label both the service life and the volume of space for which it can provide effective filtering. The draft standard includes performance data for both particles and formaldehyde. The national standard on air purifiers, enacted in 2002 and last revised in 2008, has failed to keep up with the expectations of the public, the report said, citing Song Guangsheng, director of the National Indoor Environment and Indoor Environmental Product Quality Supervision Center. “The previous national standard on indoor air cleaners did not take into consideration the need for consumers to filter PM2.5 or increased frequency of use,” he said. PM2.5, particles under 2.5 microns in diameter, is a key indicator of air pollution in China. High density of PM2.5 has also become a major cause to smoggy air conditions that plague many regions in the country in recent years. The Science of Air Purifiers and Health: Is There Data? What is one of the hottest gifts in China? Perhaps you could give “the gift that keeps on giving”: an indoor air purifier. They certainly are all the rage in China since last year, with skyrocketing sales and sold-out inventories after the trio of highly publicized airpocalyptic crises. I think this is a good turn of events: plenty of independent testing,including mine, has documented that a good air purifier can dramatically improve your indoor PM2.5 by 80% or more. But is there any good data that proves that this actually makes you healthier? It seems logical, of course, that decreasing exposure to pollution would decrease harmful health effects. But medical history is filled with tales of common sense and tradition that later turn out to be worthless or harmful — like bloodletting, or the more modern tradition of multivitamins. A big percentage of people reading this article take a daily multivitamin, assuming it’s “healthier” to do so, but the best evidence shows they are worthless, and possibly harmful. Could air purifiers be the same? 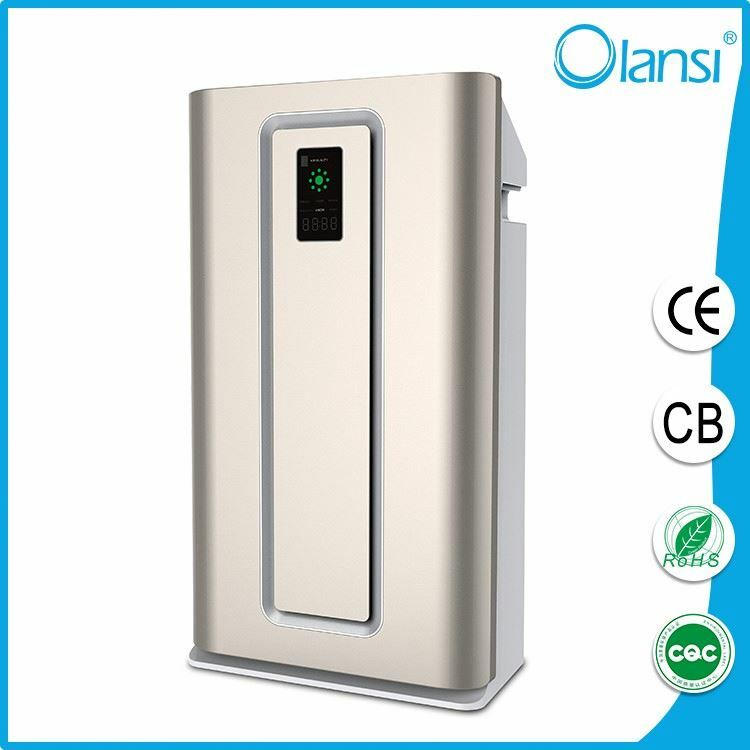 In theory and in testing, a good purifier should improve a room’s pollution levels more than 80%; this80% reduction is also what the private Association of Home Appliance Manufacturers (AHAM) uses in their clean air delivery rate (CADR) tests, which are widely cited in comparison charts of air purifiers. So let’s say you’ve installed a top-of-the-line purifier in your living room, feeling quite safe and cozy. But how much of your time is actually in that filtered room? Or maybe the purifier is too small for that room size, or the filters are old, or the fan speed is too low, or the windows are open? Even this commonly cited CADR test is just a lab test for only 20 minutes — what about in the real world? I want to take this conversation to the next level, seeking out proof that your health will improve when using these machines. I want to be able to tell my patients and readers that there are published research studies which followed people over many months or even years, compared them to a control group not using air purifiers, and measured their health to see if there was any improvement in heart and lung disease, cancers and death rates. Are there any such studies? searched the Pubmed scientific database to find the best studies, and I was disappointed but not surprised to find very little strong data. A properly designed research project like this would be very difficult and expensive. But there are a few attempts, especially studies looking at using HEPA filters to help children with asthma. One was a systematic review published in 2002, which found that air filters helped to improve asthma symptoms — but the effect was small, and there was wide variation between studies which made conclusive assessments difficult. A more recent, very well designed study published in Pediatrics in 2011 followed two hundred children with asthma who also were exposed to secondhand smoke at home, and gave half of the kids a true HEPA purifier and the other half a fake purifier for their bedrooms. After a year, the HEPA group of children had less doctor visits for asthma flares, which possibly — but not conclusively — could be due to the 25% decrease in PM2.5 in their homes. Other studies have focused on allergies, including an interesting study from 2008 which assessed children with documented pet allergies, following them over a year and recording lung function and blood markers. After a year, those who used HEPA air purifiers showed no clear difference in lung function, use of allergy medicines, or blood markers of allergies. Another study back in 1990 was a bit more impressive, showing not only a 70% reduction in indoor PM0.3 but also improved patient symptoms of allergies. All of these hint at health benefits, but they still dance around the edges of what I want to know for us in China and the developing world. In the USA, most of the air purifier marketing and testing focuses on allergies and asthma. But here in the developing countries, the air pollution is much more severe and thus the health risks are far more serious. We are worried about pollution’s long-term risks of death, heart and lung disease and cancer. These studies I just mentioned still aren’t answering that deeper question: can long-term use of indoor air purifiers prevent death, heart and lung disease, and cancer? This same Canadian research team had earlierpublished a similar study, testing 45 non-smokers for 7 days in 20 homes that used wood stoves, comparing health effects with or without HEPA purifiers. The people using the filters showed improved endothelial function and biomarkers of inflammation such as CRP. 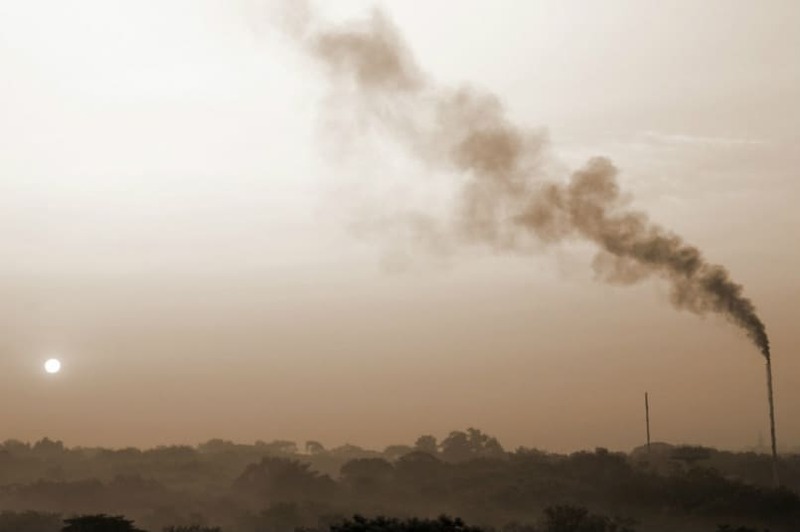 As most pollution researchers now see pollution as a pro-inflammatory disease, testing for such biomarkers could indeed be an accurate surrogate for later health problems. This approach is also being used in studies of air pollution masks, which I recently reviewed. My take from these studies? Firstly, they all confirm what we already know: air purifiers can reduce the levels of indoor PM2.5, but with a wide range of effectiveness. Secondly are the more important results looking at health markers. I think the most encouraging finding was the First Nation study showing improvement in lung function, even in such a short amount of time (less than a month). Their data was a bit less convincing on blood pressure improvements, but perhaps a larger study would help confirm their initial findings of a slight improvement. Air pollution contains many chemicals, but PM2.5 is considered to be the most harmful to health. There is no such thing as a “safe” level of PM2.5. Lower is always better. Worsening PM2.5 causes deaths from all causes, especially heart and lung diseases and cancers. Many studies have shown this, including this 2013 meta-analysis of the population in China. On the brighter side, long-term improvements in PM2.5 do help to decrease mortality. The best study was a huge epidemiological analysis of entire populations in American cities as the air improved from the 1970’s to 1990’s. Lifespans improved for everyone, for a multitude of reasons, and they estimate that 15% of the improved life expectancy was due to cleaner air. Shorter studies have also shown improvements in health from better outdoor air pollution. The best designed study I’ve seen on this happened right here in Beijing, during the 2008 Olympics. A team of researchers followed 125 healthy young doctors before, during and after the Olympics, and found improved blood pressure, heart rate and other biomarkers of inflammation during those lovely days of improved air pollution. Another encouraging studyfollowed pregnant women and their babies in Tongliang, China both before and after a heavily polluting coal-fired power plant was forced to shut down in 2004, and found improved neurodevelopmental scores in newborns at age 2 years. With the peak of the spring allergy season fast approaching, millions of Americans are keeping their tissue boxes close by. The budding trees and blooming flowers associated with the early return of spring mark an increase in itchy, watery eyes, sneezing and other allergy symptoms. Seasonal allergic rhinitis, or “hay fever,” affects more than 20 percent of the people living in the United States, according to the American Academy of Allergy, Asthma & Immunology (AAAAI). Allergies are triggered by substances called allergens, such as pollen or mold spores. Many trees, grasses and weeds contain small and light pollens that are easily carried by the wind, causing allergy symptoms to flare up in the spring. Do a thorough spring cleaning – windows, book shelves and air conditioning vents collect dust and mold throughout the winter that can provoke allergy symptoms. Use a new filter in your air purifier. If you run your air purifier constantly, monitor your filter for build up. Shower and wash your hair before bed – pollen can collect on your hair and skin. Keep pets off of furniture and out of the bedroom. Pollen can cling to the dog or cat after being outside. Keep car windows closed during peak season. Use air conditioning and point vents away from face. Deal with it. That’s the typical mentality most of the Chinese people have every time the air pollution gets worse. But this Italian young man was apparently not happy about the status quo. On Wednesday, he was spotted carrying a self-made air purifier, while riding on a bike in Chengdu, Sichuan Province. According to the man, who called himself Mike, it cost him about 1,500 yuan($245) to build the device, using a home air purifier and attaching an oxygen mask to it. Moreover, he also installed a storage battery and inverter as power supply. According to experts, it’s possible to convert room air cleaners into portable air purifiers. However, even if it’s technically possible to do so, experts say it is quite unlikely to achieve the same effectiveness in air filtering as a good breathing mask can do. And even in developed countries, where the air quality is much better, an air cleaner needs to exchange the air in a room seven to eight times every hour, in order to maintain desired indoor air quality.